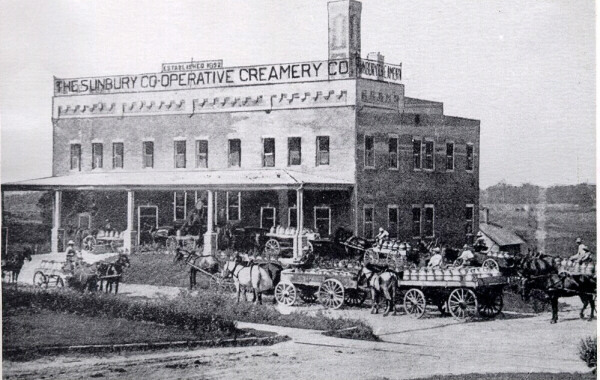 In 1892 the Sunbury Co-Operative Creamery was organized by a group of farmers and businessmen. The company was incorporated for $6000 with shares selling at $100 per share. The original directors were Jasper Boyd, Joseph Kimball, Tom Andrews, O. H. Kimball, W. P. Roberts, John Landon and Kimball Sedgwick. Other early directors were James Cockrell, Seeley Boyd, George Cleveland and Mrs. J. R. Wilson. Joseph Kimball became the first plant supervisor. 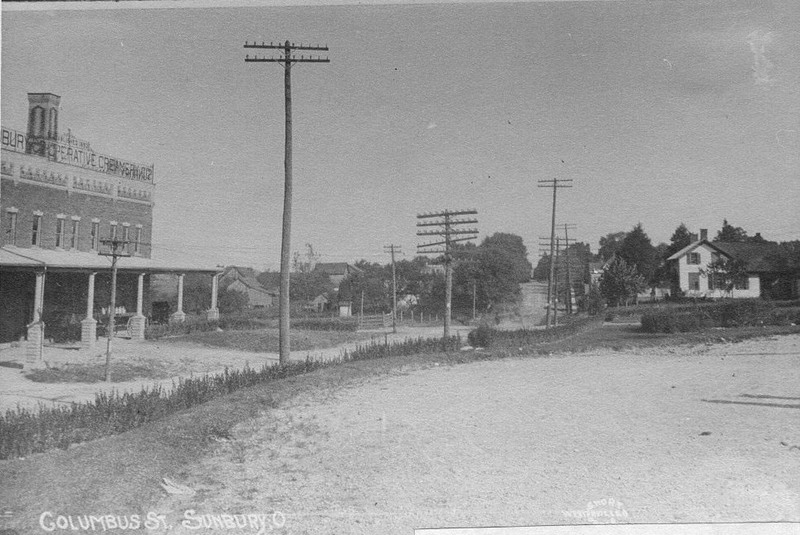 Sunbury Co-Operative Creamery had stations in Center Village, Kilbourne, Cheshire, Marengo and Condit. Cheshire took in 12,000 pounds of milk per day and Marengo took in 6,000. Each of the others received 20,000 pounds of milk daily. Cream was separated at the stations and the skimmed milk returned to the farmers to feed to their pigs. 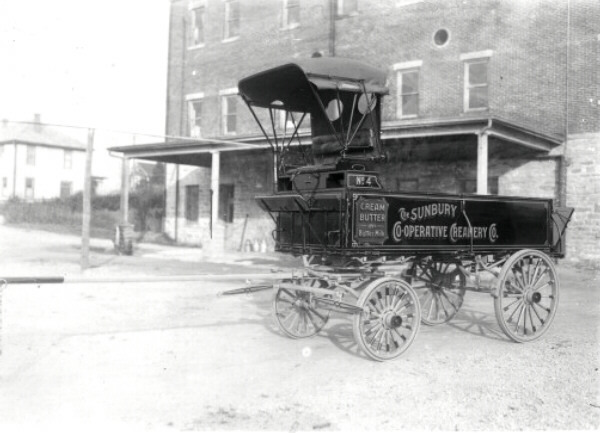 The cream was taken by horse and wagon to the Sunbury plant where it was made into butter and cheese. 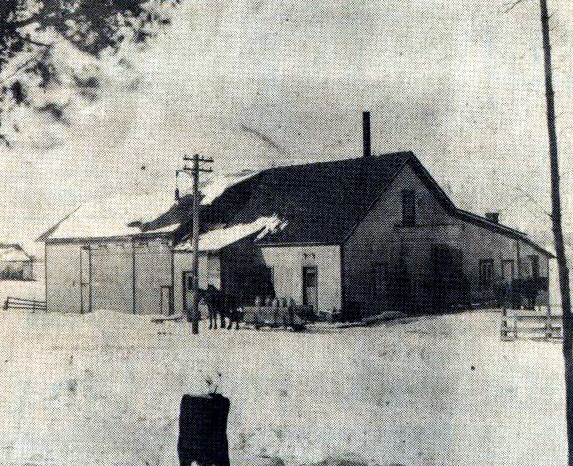 The Sunbury plant made 500 pounds of butter each day which sold for 25 cents a pound. Sunbury Famous Butter was shipped all over the country in 50 pound cartons. Every three months a carload was shipped to New York City. Farmers were paid 5 cents a pound for their butterfat once a month. Garfield Chadwick, accountant for the Co-Op, and Clarence Geddis would meet with The Farmers Bank manager, Charles Armstrong, who was also treasurer of the Co-Op, after the bank closed and they would figure how much each farmer had earned and put his money in an envelope in gold. The next day Geddis and Chadwick would drive around to all the stations and deliver the money - a trip that took at least 4 days. In 1966, Geddis told The Sunbury News editor, Bill Whitney, "We never had any trouble or holdups." The Creamery purchased 4 wagons for delivering their products. While the wagons were beautiful, they were too heavy for the mud roads and were always getting stuck, so the Creamery sold them. In 1903 Kimball Sedgwick became plant superintendent. When Mr. Sedgwick became ill, Clarence Geddis operated the plant and supervised its sale in 1918. The creamery was sold to John Wildi Evaporated Milk Company for $25,000. The sale included the buildings and equipment in Sunbury, Condit, Kilbourne and Cheshire. Evaporated milk and cheese were the big products. A year later the company consolidated with Nestle Alimentania, S. A.
Sunbury Co-Operative Creamery Pictures. . .